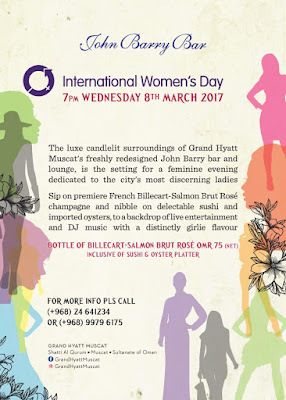 Today and tomorrow, in honour of the fact that it is Women's day today, the Grand Hyatt Muscat are offering a very fancy bottle of pink bubbles (Billecart-Salmon Brut) along with some sushi and oysters at the John Barry Bar. Not a bad date night I'd say - RO 75 for everything - follow it up with an all inclusive dinner and drinks for RO 25 down at Marjan - a 3 course dinner and unlimited selected adult beverages for RO 25. Marjan is the outdoor Indonesian restaurant by the Hyatt pool - I highly recommend it in this weather! Now, we are in the middle of the Six Nations rugby tournament, in which Ireland, Scotland, Wales, England, France and Italy all play each other to find out who's the best rugby team. They do it every spring and the tournament games this year to date have been thrilling to watch. In recent years (read= the last decade or so) Scotland have basically been shite - but no longer! 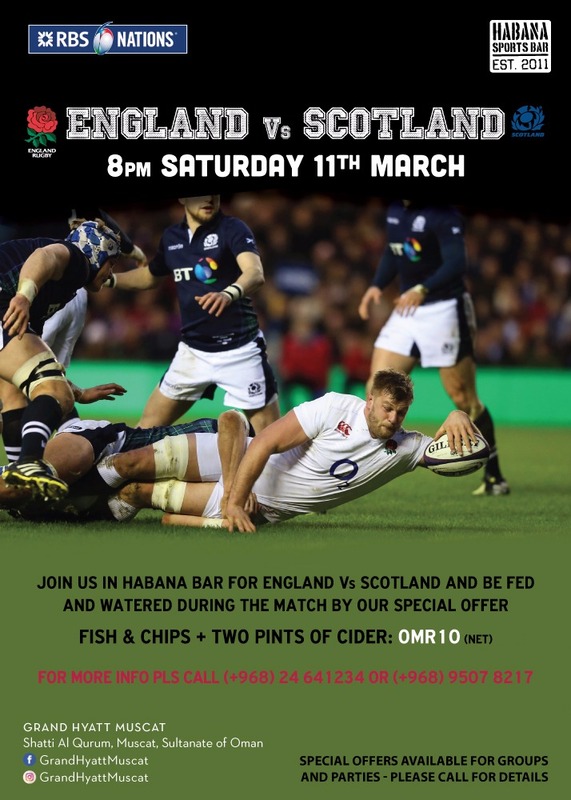 They're a real force to be reckoned with and England will be facing them this Saturday night - the games being shown live down at the Habana sports bar where they're are offering a deal - 2 pints of cider and a plate of fish and chips for a tenner. 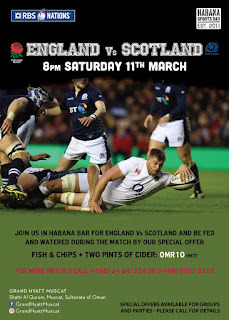 The game promises to be a monster, and although I'm hoping England give those sweaty jocks a good thrashing, I've got a sneaky feeling the Jocks may just take the Calcutta Cup home with them this time. As a side note, I recently read about the history of the Calcutta Cup - basically some rugby club in India decided to disband and melted down the remaining silver coins it had in its treasury to make the Calcutta cup, which was used by the RFU as an international challenge cup - all the way back to somewhere around 1880. There you go, that'll come in handy in a pub quiz one day. You're welcome.